Kristiine city district was created in its current form in 1993, after the restoration of Estonian independence, when Tallinn was divided into 8 city districts. 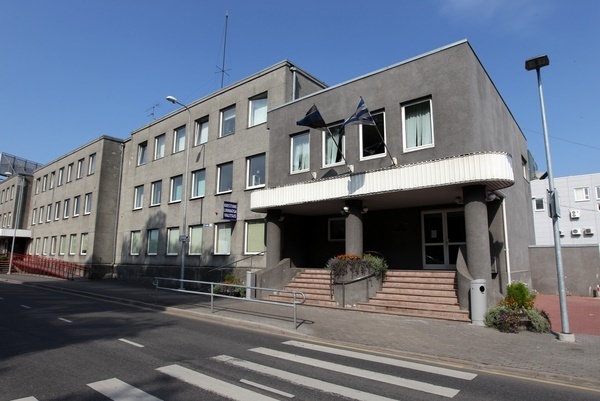 The Kristiine city district constitutes 5,9% of the area of Tallinn and has 30,062 inhabitants as of 1st of April 2012. The inhabitants of the Kristiine district make up 7,4% of the population of Tallinn. Historically, the Kristiine region was home to summer and vacation grounds of the city - dwellers. Until 1920, the Kristiine city district was called Kristiinental, which can be translated as Kristiines valley. The name originates from the 17 th century when Kristina, Queen of Sweden and Poland, gave the territory to the town council of Tallinn as present. Even today, Kristiine is one of the most verdant city districts of Tallinn. Blocks of one -family dwellings take much of the district up. Also worth mentioning are the 4 objects located in the district that are protected by nature conservation regulations - these include 3 home gardens and the historical Löwenruh Park. One can also enjoy beautiful and verdant sights in the Dunten Park, the Cederhilm Park and the Charlottental Park. Kristiine is an integral combination of modern living environment that is complemented by structures of historical and cultural value. Kristiine is quickly developing city district offering a pleasant living environment for people who value a life of privacy near the city centre of Tallinn.